Who are Friends of Nunhead Reservoir? Friends of Nunhead Reservoir was recently set up as part of a community campaign by local people to establish some form of common access to the Nunhead Reservoir site. Nunhead Reservoir is covered hill-top reservoir, meaning the water is contained below ground. Sitting on the hill next to the cemetery, sandwiched between Nunhead Cemetery and Peckham Rye Common, the reservoir’s 15 acres of wide-open green space offers a fantastic urban oasis, along with some of the best panoramic views in South London! 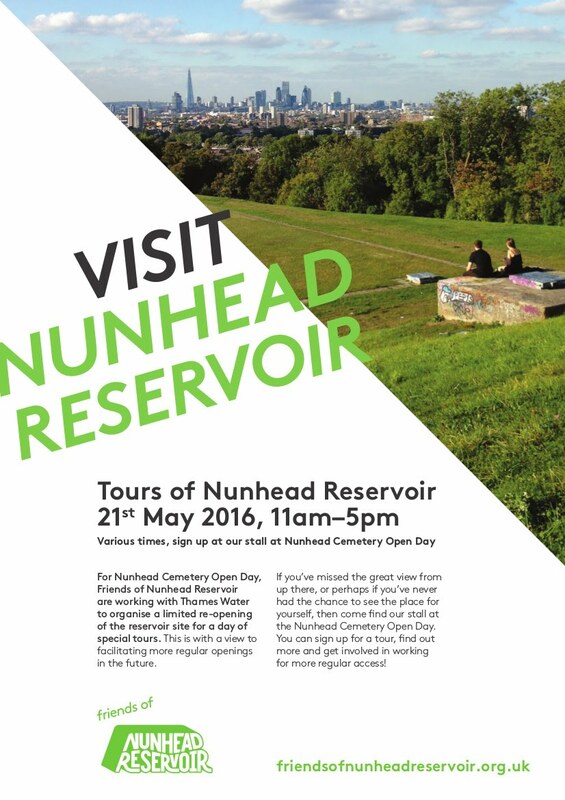 So why are Friends of Nunhead Reservoir campaigning to re-open the site? This unique community resource, although owned by Thames Water since privatisation, had been used informally as a much loved 'unofficial' picnicking spot, and general place of recreation, by the people of Nunhead and wider South East London for at least 25 years. This was ended in 2014 when Thames Water erected a large fence inside the existing one, citing security reasons. The campaign to re-establish some form of access originally took the form of a petition on 38 Degrees– to date, around 7000 signatures – and a forum for people to share their memories about the location. The campaign held a number of public meetings, attracted significant press coverage and the broad support of local politicians. As a result, Thames Water agreed to meet with us and Friends of Nunhead Reservoir is now actively working with Thames Water to find a compromise. We want to re-open the site for people to have free access, but also keep it safe and secure to allay the security concerns of Thames Water. So will the site be re-opened? After a productive initial meeting with Thames Water, Friends of Nunhead Reservoir are trying to establish a steering group of volunteers, willing and able to move beyond campaigning, to work in partnership with Thames Water towards some form of managed and regular access in future. Hopefully if this goes well, we might be enjoying more picnics and seeing that great view again sometime soon! For this to happen we need enthusiastic people! If you’d like to see the reservoir open again, get involved!